Our range of Garden Picnic Tables encourages hospitable get togethers with family and friends. It’s all about welcoming your guests for a leisurely meal and making time for each other. 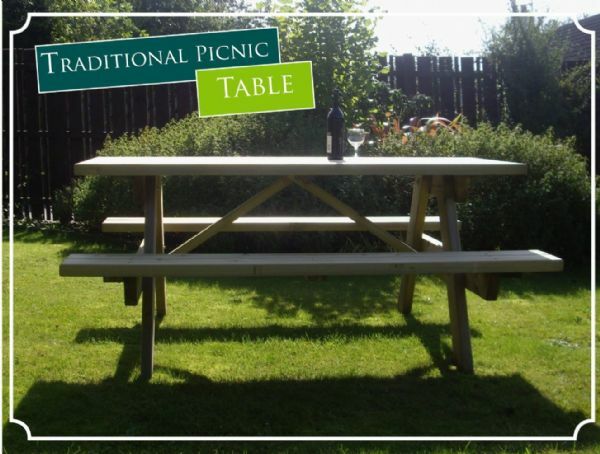 Unlike the many cheaply made picnic tables you can find on the high street. We manufacture our Traditional Garden Picnic Tables at our Sawmill in Crumlin Co.Antrim. We use a 150mm x48mm smooth pressure treated timber. 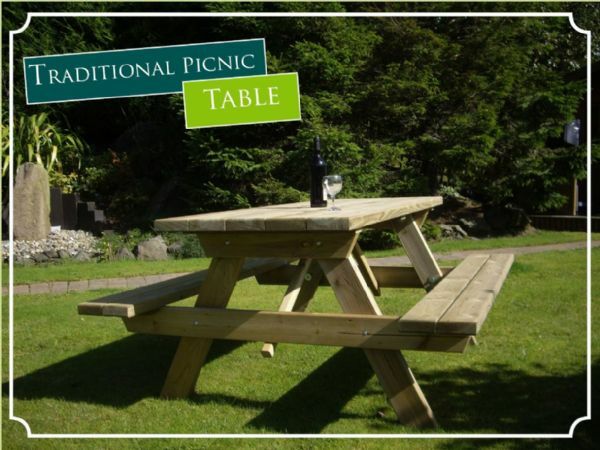 Giving you a superior piece of garden furniture which you can enjoy for many years to come.